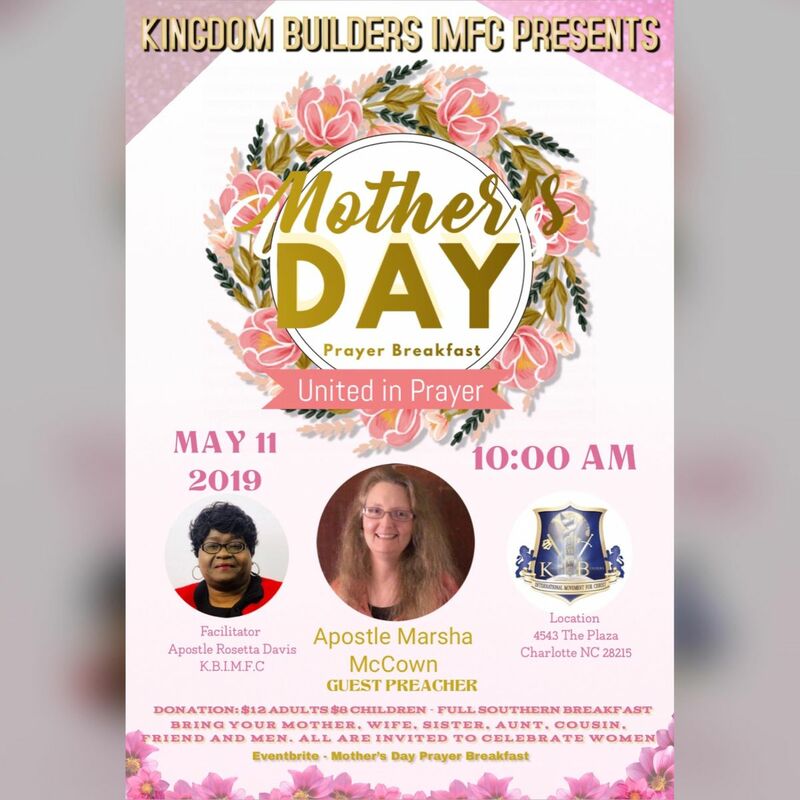 Join us as we celebrate Mother’s Day by uniting our women in prayer. The Prayer Breakfast will include a full southern style spread. Our guest preacher for this event will be Pastor Marsha McCown of Faith City Peace Haven COG. Get ready for edification and to be uplifted in unity. We invite and encourage all Women of Virtue and Men of Valor to attend and be filled with God’s word.